– The Six-Man Tag between Michael Elgin/Yuji Nagata/Juice Robinson and Bad Luck Fale/Tanga Loa/Yujiro Takahashi started with Bullet Club clowning around as Fale tossed the ring announcer (coined by Commentator Don Callis as “Midget Tanahashi”) to the canvas during his intro. 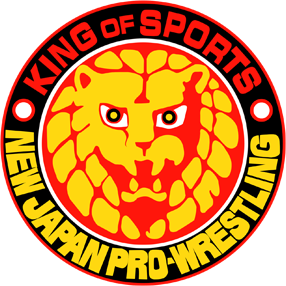 Most of the card was structured to see competitors in the New Japan Cup do battle in tag matches before their singles contests. The Finals would be later in the month. Commentary spent the majority of the contest talking about Takahashi’s “line of the day” at the press conference, which apparently had profanity. In the First Round, Takahashi would face Robinson. The two even had a good exchange, as Robinson literally called him a MF-er. Elgin and Fale would compete in the First Round too, which was a rematch of their Second Round bout last year. They dueled bodyslam attempts. Nagata did a great “fake out” maneuver and eventually got the pin with the bridged German suplex to head into the Cup with momentum himself. – The Eight-Man Tag between NEVER Openweight Champion Hirooki Goto/Gedo/Jado/Beretta and British Heavyweight Champion Zack Sabre Jr./Yoshinobu Kanemaru/Taichi/El Desperado had backstory of ZSJ’s newfound alliance with Suzuki-gun. The man had three belts now, one each from Pro Wrestling Guerrilla and EVOLVE. Gedo/Jado were also semi-feuding with Taichi/Desperado, the new IWGP Junior Tag Team Champions with their call-out the night before. It was another chapter for the book of the CHAOS-SG rivalry. There was also another Title match brewing between Goto and ZSJ as they continued their feud. Taichi did his annoying Taichi thing and used the bell hammer behind the Referee’s back on Gedo. ZSJ snuck in and pinned Goto in cunning fashion to send a message to the Champ. Definitely feeds to the story. ZSJ left this looking good. – The Six-Man Tag between Katsuyori Shibata/Togi Makabe/Tiger Mask and Suzuki/Davey Boy Smith Jr./TAKA Michinoku began with blazing fists as per usual any match associated with SG. Suzuki and Shibata had a solid exchange. In fact, they even took it into the crowd. Suzuki strangled Shibata with a damn chair. Things cooled down after that. Shibata tagged back in from TM and brought it to Suzuki. Deadly array of stiff strikes. They had an even hotter exchange that ended when they both hit big boots and knocked each other to the mat. Makabe scored the pin while Shibata choked Suzuki nearby, which he held on to even after the bell. Aggravated, Suzuki delivered a forearm strike to a Young Lion. To top it off, he stole a chair from a fan and assaulted another Young Lion with it. He made a beeline for Shibata again. That’s how you do a brawl, folks. – The Tomohiro Ishii/Toru Yano-Kenny Omega/Tama Tonga match was probably the evening’s “entertainment spectacle” thanks to Yano and Omega. They did a bit where Tonga chased Yano on his knees, which Yano reacted as if he was being chased by a stray dog. He ran out of the ring and ended up between Omega/Tonga. To reach safety, he tried to go under the ring and pulled out a spit bucket, which naturally ended up on his head. Omega took advantage and played makeshift drums. Omega/Ishii were also set for battle in the First Round. Omega did a powerslam/moonsault combo for two. Yano had the pin, but Omega pulled the Referee out of the ring before he could count three. Tonga landed a low blow on Yano and struck with the Gun Stun to get the win. Makes sense. – The Hiroshi Tanahashi/KUSHIDA-“Ticking Time Bomb” Hiromu Takahashi/EVIL match began with aggressive action on the outside. KUSHIDA did a nice tope con hilo on Takahashi at the barricade. KUSHIDA and Takahashi then exchanged some flexible pinfall attempts, until KUSHIDA scored the final one. Quick and fast, mostly harmless match. Post-match, EVIL laid out Tanahashi out on the outside. For whatever purpose that’ll serve in the future. – The Six-Man Tag between IWGP Heavyweight Champion Kazuchika Okada/YOSHI-HASHI/Rocky Romero and IWGP Intercontinental Champion Tetsuya Naito/SANADA/BUSHI was a fun battle between CHAOS and Los Ingobernables de Japon (LIJ). Naito was more favored in this region of Japan, as we’ve seen in the past. We started with a Naito-Okada standoff. The topic of commentary was Naito’s controversial behavior as a Champ with the way he threw the belt and brought up Robinson’s comments about his problems with it at the press conference. Romero nearly pinned SANADA. Exciting towards the end. SANADA almost got the pin with a cutter. SANADA made Romero tap out right afterward, which capped off CHAOS’ forgettable night. As a show overall, this was probably the weakest of 2017 so far, but necessary booking to push the Cup in place. The card probably did no favors either, since it was all tag matches and that only allows so much development. If anything, check out the Suzuki-Shibata physicality. Posted on February 18, 2018, in NJPW English and tagged Bad Luck Fale, Beretta, Bushi, Chaos, Davey Boy Smith Jr., David Finlay, Don Callis, El Desperado, Evil, Gedo, Hirai Kawato, Hiromu Takahashi, Hirooki Goto, Hiroshi Tanahashi, Hiroyoshi Tenzan, Jado, Juice Robinson, Jyushin Thunder Liger, Katsuyori Shibata, Kazuchika Okada, Kenny Omega, Kevin Kelly, Kushida, Los Ingobernables de Japon, Manabu Nakanishi, Michael Elgin, Minoru Suzuki, Rocky Romero, Ryusuke Taguchi, Sanada, Satoshi Kojima, Suzuki-gun, Taichi, Taka Michinoku, Tama Tonga, Tanga Loa, Tetsuya Naito, Tiger Mask, Togi Makabe, Tomohiro Ishii, Tomoyuki Oka, Toru Yano, Yoshi Hashi, Yoshinobu Kanemaru, Yuji Nagata, Yujiro Takahashi, Zack Sabre Jr.. Bookmark the permalink. Leave a comment.